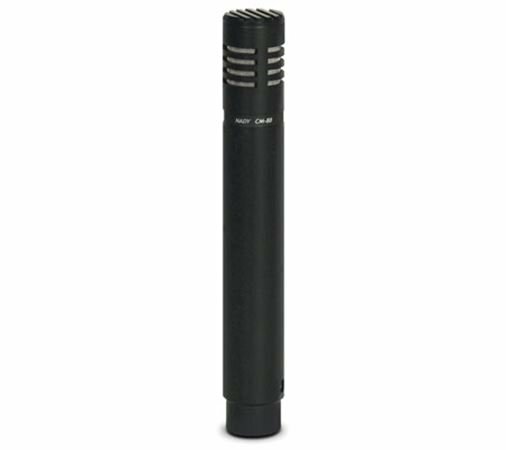 Shop Nady CM88 Instrument Unidirectional Condenser Microphone from AMS and enjoy Fast & Free Shipping. The Nady CM88 Instrument Unidirectional Condenser Microphone offers professional performance and sound quality at a remarkable price! Designed to brilliantly capture drum overheads, reeds, acoustic guitar, piano and vocals, the CM88 has the perfect response for both loud percussive instruments and quieter, delicate sounds. Nady outfits this pencil condenser mic with a unidirectional polar patter and gold plated XLR contacts. Building a microphone locker to record a full band through my Soundcraft Si24. Can't wait! I bought the double pack with two CM88's and both work well. Doesn't work very well as an acoustic guitar mic the tone is very muddy, Probably would work ok as drum overhead mics for cymbals. I originally ordered these because I wanted an Acoustic guitar microphone because I was getting to much bleed from my guitar to my microphone. Worked well. But I thought just for the heck of it to try it as my vocal microphone! OMG!!! It was like a whole new world!! I get no bleed and the vocals sound amazing!! I thought for a moment it wasn't me singing!! I am a soft singer doing acoustic songs and keep a close proximity to the Mic. I am just blown away at the difference I got from my SM-58's Even better I got 2 for the price of 1... Sorry SM-58's early retirement. Also for recording these blew away my $1.000 AKG C414 XLII Large-diaphragm Condenser Microphone. Thanks AMS for this deal!! Also came with wind screen nice surprise! !